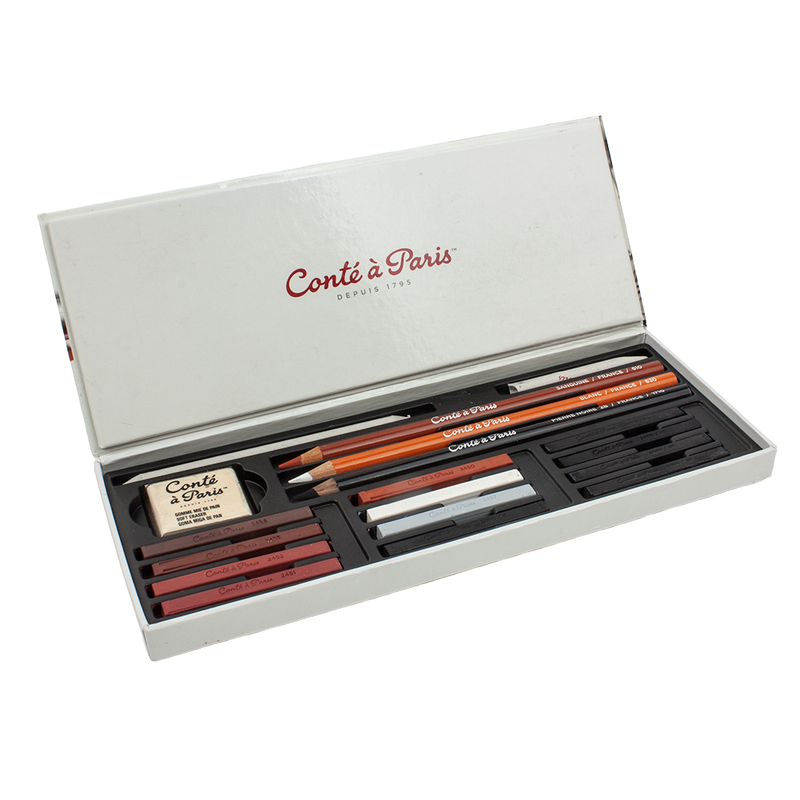 The Conte Carres Esquisse Sketching Studio box is a great set for discovering or rediscovering the sketching technique. 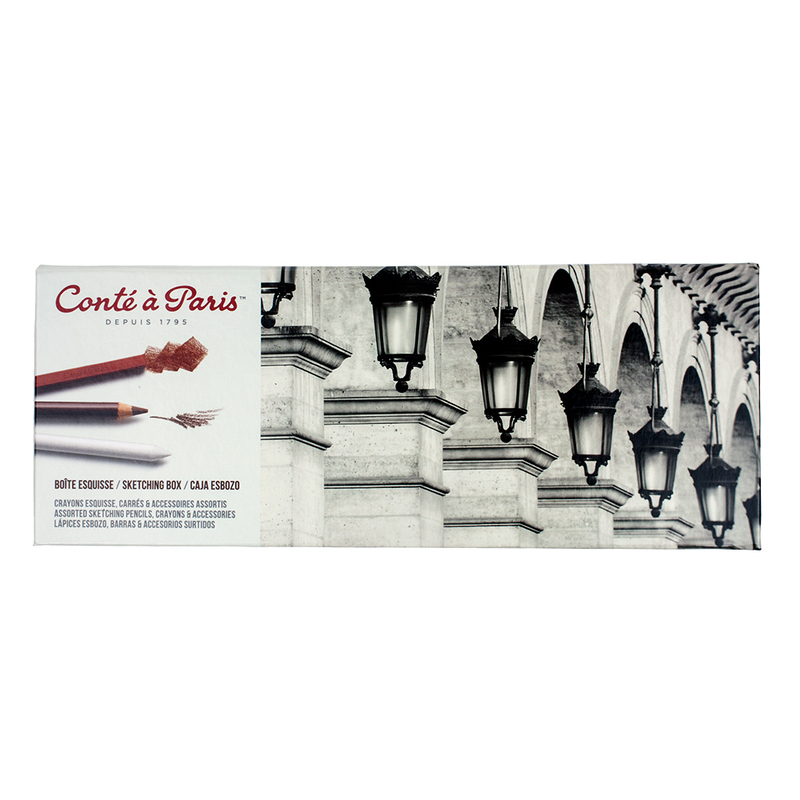 Its magnetic lid ensures a tight fit. Ideal as a gift for any artist. 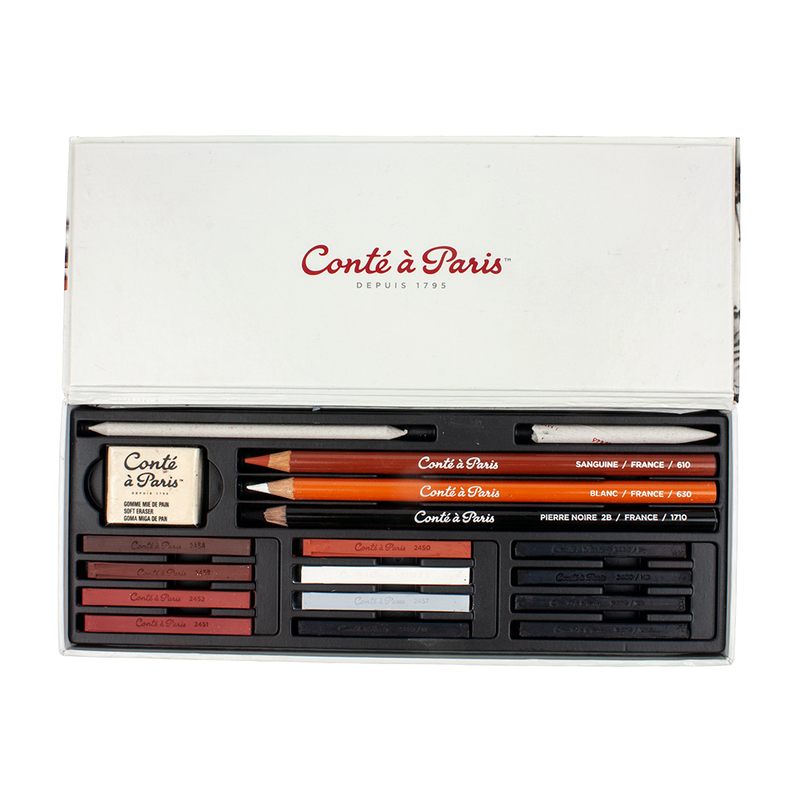 Contains 12 Sketching Carres Crayons, 3 Sketching Pencils, 1 Blending Stump, 1 Tortilion, 1 x Putty Rubber.